At Harrow Way Community School we are passionate about giving our students a broad and balanced experience of careers through our careers guidance programme. In the rapidly changing education landscape, with changes to qualifications and progression routes it is so important that students and parents are well informed in order to be able to prepare for their future. Please click here for access to the range of activities. At HWCS we are always striving to further enhance and improve our careers programme. We gather student feedback on our Careers and Personal Development lessons from pupils. We monitor the pathways of our students from year 11, to ensure we have provided the best advice and care possible to ensure our pupils make what is the best decision for them and they future. We cover careers across the age ranges through assemblies, discrete lessons as part of our Careers and Personal Development Programme in year 9, 10 and 11 and an ever increasing range of events and activities. 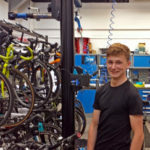 careerpilot.org.uk this website has useful subject related careers and easy to understand information on apprenticeships, and Labour Market projections. eclips-online.co.uk a way to explore different Job Groups giving information about required qualifications, skills and progression routes. Access is available to Harrow Way students via a log in code. The code is widely advertised around the school, in careers lessons and careers interviews. prospects.ac.uk this website is useful for graduate career information, gap years and graduate training programmes. ucas.com Website to explore degree level courses and their entry requirements. brightknowledge.org Job profiles linked to school subjects, as well as useful information about industries and higher education. apprenticeshipguide.co.uk General information about apprenticeships. successatschool.org A one stop shop for careers advice and information. startprofile.com Students can play a careers game which then generates career ideas to suit students’ interests and personality. Having played the game, students can look further into their job matches and find out more information.